SOLD $240,000! Living Estate Auction! 3 Bedroom 3 Bath Brick Home with Personal Property! | Middle Tennessee Real Estate :: Maples Realty & Auction Co.
SOLD $240,000! Living Estate Auction! 3 Bedroom 3 Bath Brick Home with Personal Property! Saturday, September 24th @ 10:00 a.m. 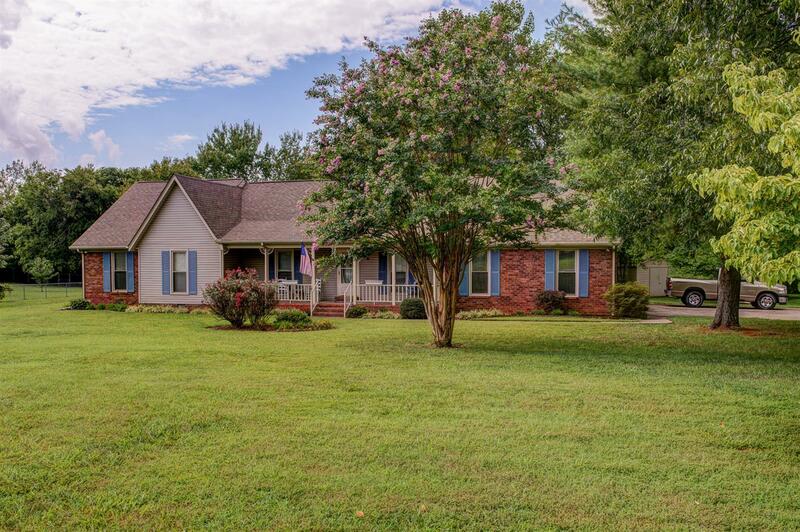 Located in the Brandywood subdivision, this spacious 3 bedroom 3 bath brick home has a bonus room, attached garage, covered deck, nice yard and storage building. Enjoy county taxes with all the city perks! Personal Property: 2008 Dodge pick-up truck, glassware, china, dining room furniture, chairs, recliners, couch, book cases, entertainment center, washer, dryer, lamps, stereo, vinyl records, patio furniture, Coleman gas grill, charcoal grill, ladders, various electric hand tools, Craftsman bench grinder, full size truck tool box, Huskee 42’ cut riding mower, air compressor, small utility trailer, Remington 1100 12 gauge shot gun and much more. Directions: From Hwy 96, turn right onto Brandywood Dr, right onto Idlewood Dr., property on the right. Click on the photo below to see full photo gallery.